Edinburgh. 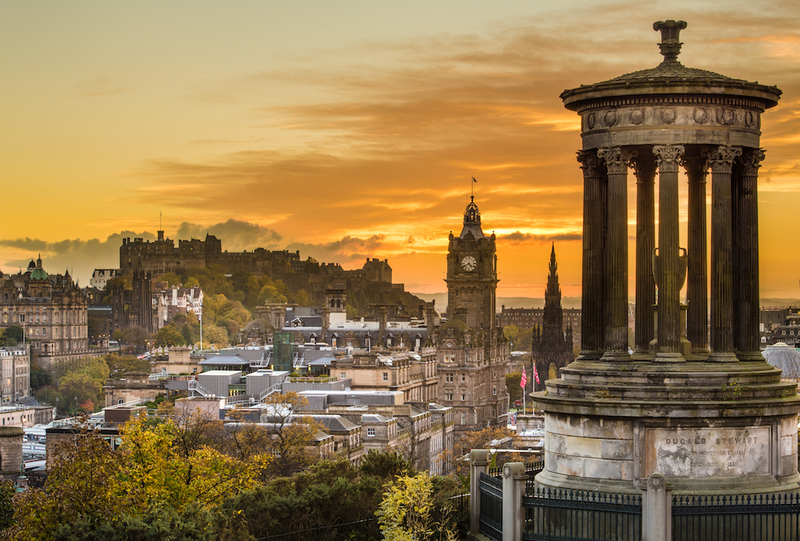 It’s the capital of Scotland, and in August every year it becomes the cultural capital of the world, hosting some of the greatest arts festivals on Earth, including the Fringe Festival, the Military Tattoo and the literature and arts festivals. At other times during the year there’s also Hogmanay, Burns Night, the Beltane Fire Festival, Christmas markets and more. 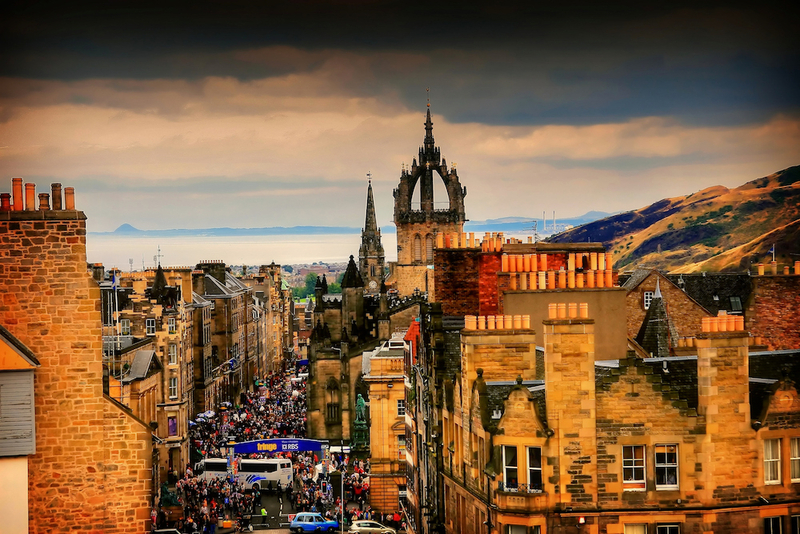 But it’s a great city to visit even if there’s nothing “special” happening, thanks to Edinburgh’s breathtaking sights and history, remarkable architecture and the volcanoes, hills and waters that make up its natural features. Plus, Edinburgh is a lot smaller than you might have imagined, so you can see most of the highlights in just a few days. It’s Scotland’s #1 paid-for tourist attraction, and should be #1 on any list of things to do on a first visit to Edinburgh. And why wouldn’t you want to visit? The views are incredible from this spectacular 7th-century castle that sits on the top of an extinct volcano – and what’s inside is pretty incredible, too. Make sure you see the 12th-century St Margaret’s Chapel (the oldest building in Edinburgh) and the Royal Palace, in particular the Great Hall and the Crown Room (which is home to the “Honours of Scotland” – a.k.a the Crown Jewels – and the Stone of Destiny). The castle is popular and therefore busy, so go early or buy a skip-the-line entrance ticket. Take a wander down the Royal Mile, the oldest and most famous street (in actual fact, a succession of streets) in Edinburgh, which runs from the castle at one end to the Palace of Holyroodhouse at the other, and was once called the finest street in the world by Robinson Crusoe author, Daniel Defoe. It’s a medieval marvel, featuring palaces, churches, historic buildings, cafés, bars, pubs and historic inns, and St Giles’ Cathedral (climb to the top for a fantastic view along the Royal Mile). You might even stumble across one or two tartan and shortbread shops as well (!). While you’re on the Royal Mile, be sure to visit The Real Mary King’s Close. Once upon a time, this part of Edinburgh was filled with “closes” (tall, narrow streets), but over the years, most were knocked down. Mary King’s Close, however, remained intact. The Royal Exchange was simply built over the top of it, creating a kind of time capsule underneath. The warren of streets was frozen in time, and today the attraction is called The Real Mary King’s Close. Visit this subterranean world and you’ll be taken – courtesy of a walking tour with actors/guides – to a plague-ridden 17th-century city that’s renowned as one of Edinburgh’s most haunted sites. About 1.6 kilometres east of the castle is Arthur’s Seat, the highest point of the city. It’s one of three volcanic hills surrounding the city and, at 251 metres, is also the biggest. 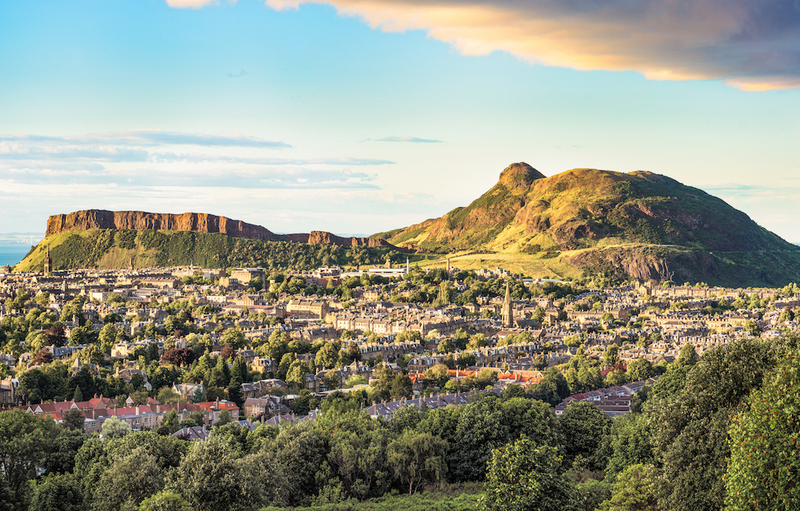 Climbing this famous hill/mountain/extinct volcano is a great way to get your bearings in the Scottish capital, and the views from the top are sublime – especially at sunrise and sunset. There are various hiking trails to choose from, letting you climb to the top in anywhere from about 45 minutes to a couple of hours. Or, you can jump in a car/taxi, drive to Dunsapie Loch and walk from there – you’ll reach the summit in about 10 minutes. 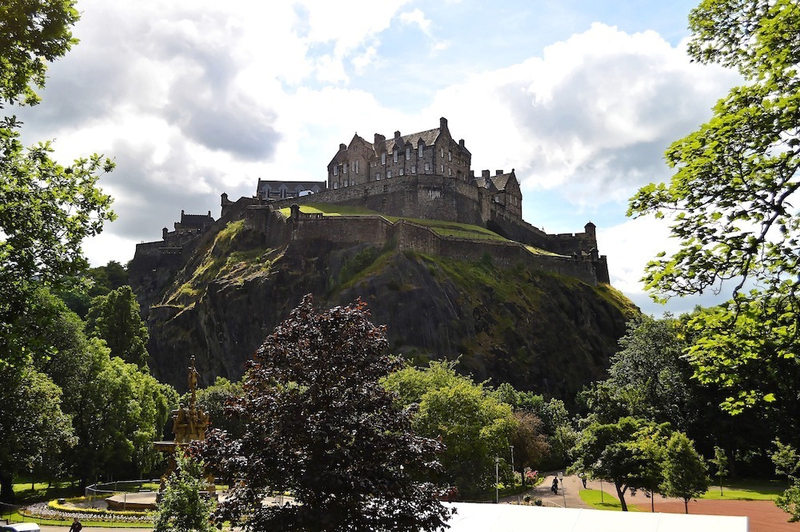 Located beyond the east end of Princes Street (the main shopping street in the capital), this is another top spot for beautiful city views – and these views include Edinburgh Castle. Calton Hill is also a Unesco World Heritage Site, due to the fact that it’s not only the headquarters of the Scottish Government, but it’s also home to the National Monument, the Nelson Monument, the Dugald Stewart Monument, the Robert Burns Monument, the City Observatory and a number of other iconic monuments and buildings. 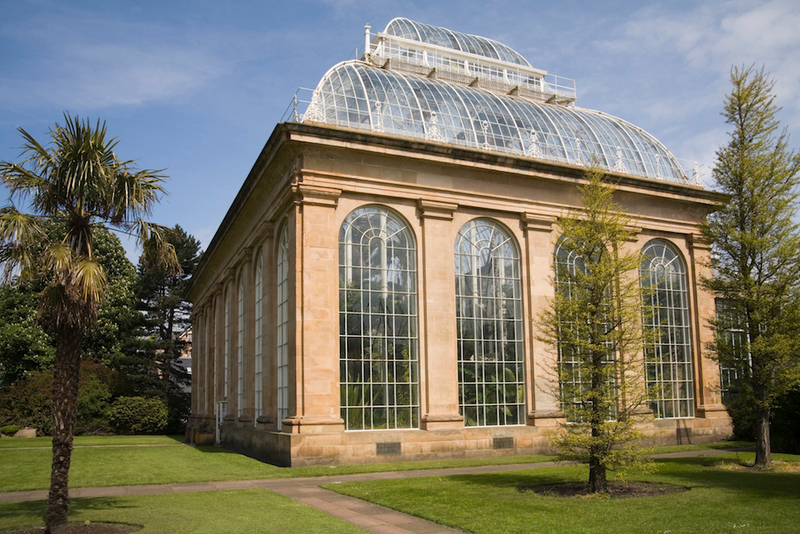 Botanical gardens are worth a visit in most cities, and Edinburgh’s is one of the finest in the world. There are 72 acres to explore – at the right time of year you’ll be blown away by the rhododendrons and azaleas, and don’t miss the famous rock garden or Giant Redwood trees in the Woodland Garden. An absolute must is the Victorian Temperate Palm House. Dating back to 1858, it’s just one of 10 glasshouses in the Royal Botanic Gardens. They’re home to more than 3,000 exotic plants from around the world (including a 200-year-old palm tree), and each has a different climatic zone, from steamy tropics to arid desert. Take a stick if you visit Greyfriars Kirkyard, a graveyard in the centre of Edinburgh. Not to fight off any modern-day versions of Burke and Hare (who did their body-snatching here), but to lay on the grave of Greyfriars Bobby. The Skye terrier was so devoted to his master that after he died in 1858, the little dog sat by his owner’s grave every single day for 14 years. After the dedicated dog died he too was buried in the churchyard, and to this day people bring him sticks and lay them on his grave. 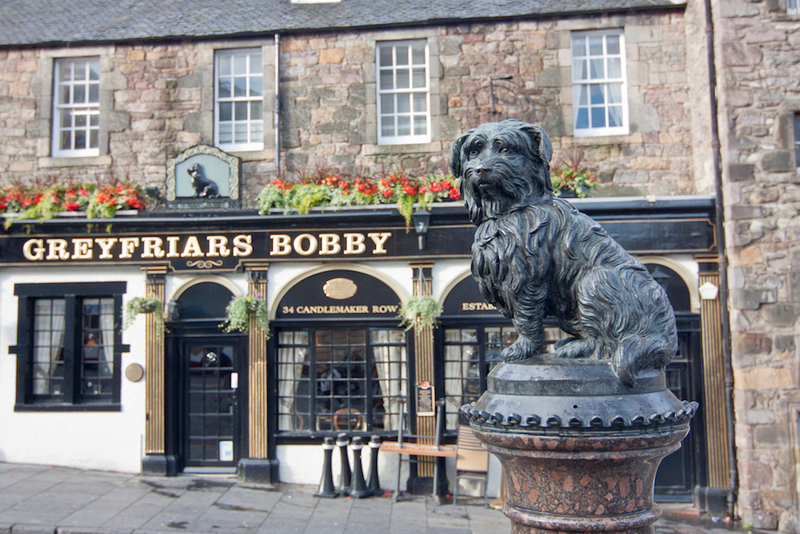 A statue of Greyfriars Bobby in Candlemaker Row offers another great – and free – photo op. 8 days, 2 countries, 7 cities! Bonus US$50 credit per cabin!